Archivists! Would you like to join our small and enthusiastic team? You would be cataloguing the papers of this chap (Dr Calvin Wells), who pioneered palaeopathology (discovering ancient disease and injury from skeletal remains). We’re recruiting an Archivist to work on the Putting Flesh on the Bones Project, funded by a grant from the Wellcome Trust and involving work with both Special Collections and Archaeological Sciences. The post is available for 18 months from 1 June 2017 and offers a fantastic chance to collaborate with academics and conservation/museum professionals, as well as Special Collections staff and readers. Find out more on the University’s vacancy webpage. Do contact me (Alison) if you have any queries. 3 February 1966. Bradford’s starter for ten?? Starter question. What famous jazz musician had the Christian names Ferdinand Joseph de la Menthe? If you were concerned with Hooke’s Law, would you be more likely to be a student of church history, a statistician, a manufacturer of braces, or a pirate? From Shakespeare, which character said (and in which play)? “In sooth, I know not why I am so sad”. Can you guess which quiz show sent these specimen questions to Bradford students? No conferring! Yes, it could only be University Challenge, the famously fast-moving and difficult quiz for teams of students, first broadcast in 1962. In 1966, Students’ Union official Roger Iles contacted the programme’s producer, Douglas Terry, and its maker, Granada Television, to ask whether Bradford Institute of Technology (BIT) would be able to take part in the programme. BIT was after all just about to become a “University”. His enquiry was welcomed and Bradford was invited to put together a team for the autumn series. BIT was thus the first College of Advanced Technology turned University to be recognised in this way. The 3 February 1966 issue of Javelin shared the good news and the call for entries. The specimen questions were included to help students decide if they were up to the standard of the competition. Answers at the bottom of this article (No googling!). It took a few years, but Bradford University did eventually become University Challenge Champions. Five students living in Revis Barber Hall of Residence had jointly hired a television set which was “capable” of receiving a hazy BBC-2: a slightly more “highbrow” channel than the existing BBC and ITV programmes, and with a remit including arts, culture and education. Assuming the set could in practice receive the channel, the students would have been able to watch Playschool, Horizon, and (the following year) the unmissable Forsyte Saga. Students were asked to stop stealing glasses from the Union Bar and were rebuked for using “vulgar language” in the “conveniences” on Richmond D Floor. This had upset a member of staff and meant students were banned from the only toilets on the same floor as the Bar – inconvenient! Excel Bowling (Canterbury Avenue). Ten-pin bowling had become really popular in Britain during the 1960s. Excel was a large chain of bowling alleys. A manufacturer of braces (i.e. interested in the properties of elastic). Antonio, in the Merchant of Venice. 1966, a Year that made a University. 20 January: Nearly There? In January 1966 it looked as though Bradford might be at the point of achieving a century-old dream: its own University. Or was it? As early as 1868, local Member of Parliament W.E. Forster was clear that “if industrial universities were to be established in large centres of manufacturing, Bradford would do its best to become one of those centres”. Such universities were indeed established: Leeds, Sheffield etc. acquired universities in the”red-brick” boom of the 1890s and 1900s. Lack of local support and political influence meant Bradford missed out. Scheme after scheme for university status foundered over the next century. At last, in 1957, Bradford became Bradford Institute of Technology, one of eight Colleges of Advanced Technology, concentrating on university-level teaching and research. But the CATS lacked the independence, kudos, and funding available to”universities”. This unfairness was particularly noticeable during the early 1960s, as so many new universities were springing up. These, as Robert McKinlay remarked in his histories of the University, achieved university status with all its benefits while often consisting of only a “Vice-Chancellor and a watchman’s hut”. The CATs, with years of high-level work, buildings, staff and students, were still at a disadvantage. To put right this anomaly, Lord Robbins in his 1963 report recommended that the CATs be granted Royal Charters to become technological universities. It’s easy to assume that this meant the Institute’s move to university status was inevitable. However, the lead article in the 20 January 1966 edition of Javelin suggests some students at least were not so sure. Was there “hope for Bradford”? An article in the Guardian had implied that Bradford would be a university by the following year: this seemed hopeful, as “surely such a reputable newspaper would not have raised our hopes by printing an untruth”. Aston University, another CAT on the same journey, was “nearly there”, having had their charter accepted by the Privy Council. Encouraging news! Of course it is possible that uncertainty about university status was being exaggerated for effect. Javelin reporters tended to be sarcastic and cynical! Either way, the signs were correct: Bradford would indeed become a University before the year was out. Part II to follow: what else was happening around the Institute and the City in January 1966? Do Words give you the Creeps? Rat! Vomit! Slippery! Squab! Moist! Do certain words give you the creeps? 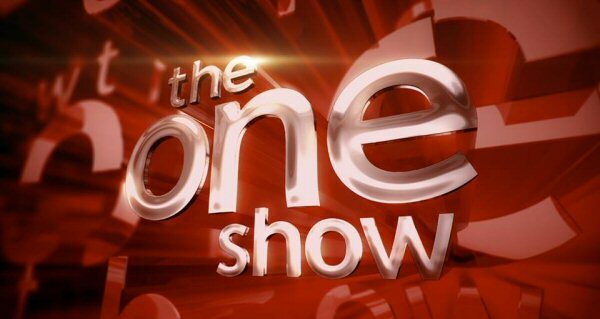 The One Show on Friday 16 January 2015, filmed in locations around Bradford, explored the strange phenomenon of “word aversion”. You can see the programme on BBC IPlayer until 15 February (feature runs from 02:21-06:27 minutes). Watch out for Special Collections books (backgr0und of interview), our students and catering staff, and some great shots of Centenary Square. Why should universities invest in their archives? Special collections in universities aren’t just dusty things in basements that are kept because they are nice or old. They’re part of the story of their institution, highlighting and documenting its distinctive qualities. 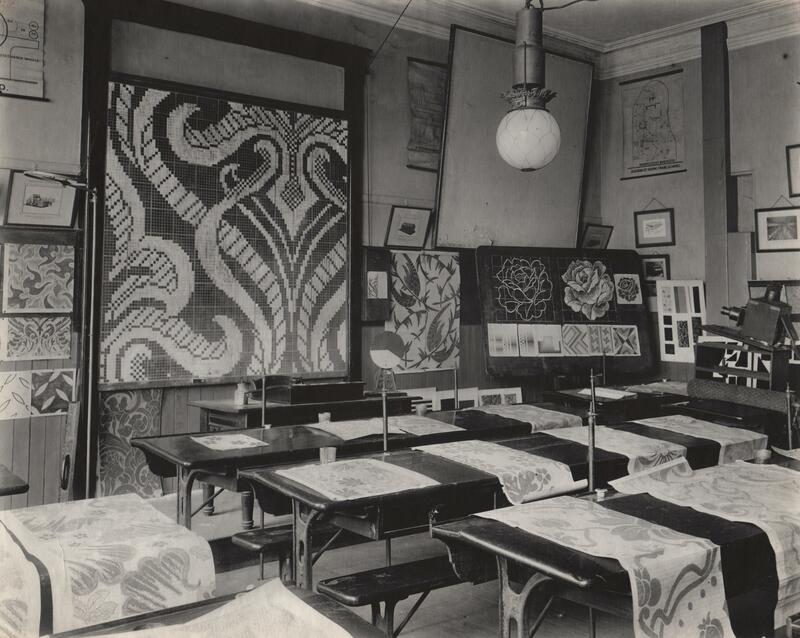 For instance, the University of Bradford has peace campaign archives because of the radical history of the University and the City and collections on dyeing and textile industries because we grew from the City’s need for technical education. If properly cared for and catalogued, such collections are invaluable for research, teaching, community work, art and even student recruitment. Unique and Distinctive Collections, a new report co-authored by Alison Cullingford and published by Research Libraries UK aims to help university senior managers see the potential of their collections and encourage them to invest in making more of them. We’re advertising for a new colleague to join the Special Collections team: an Archivist to catalogue the Mitrinovic/New Atlantis Archive. 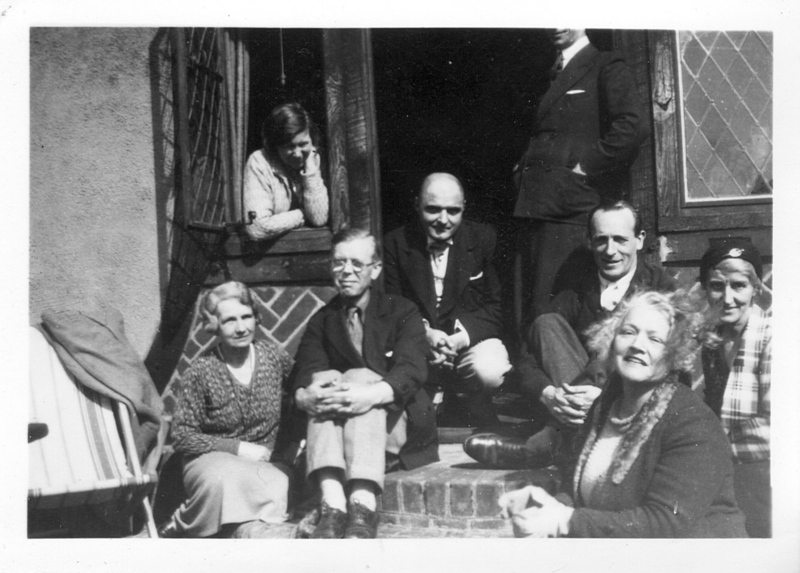 The Archive tells the story of an extraordinary man whose life and ideas are intertwined with so many others in early 20th century art, literature, politics and culture. It shows how he built a circle of followers who shared his aspirations towards a better and peaceful Europe. We are thrilled that we will soon be able to make this important collection publicly available. The post is part time, pro rata, for 16 months, and the key dates are 12 May (closing date) and 3 June for interviews. Note that the post requires a qualified professional archivist with relevant skills and experience. I welcome informal enquiries about the post by email. Special Collections services will be very limited between 1 and 17 March (staff on annual leave). Apologies for any inconvenience! We’ve not blogged a great deal recently – this is because we have been occupied with our application for archive accreditation. We have many exciting events and other news coming up so expect more here very soon.